After two miscarriages and a long, difficult pregnancy, our dreams were finally coming true. 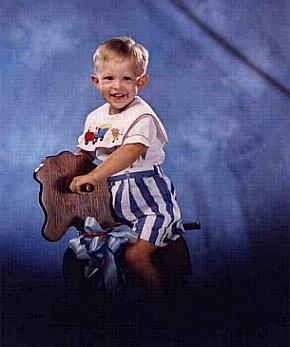 Jacob was born on Columbus Day, October 12, 1992. He was such a beautiful baby. From the time he came home from the hospital, he was a good sleeper. 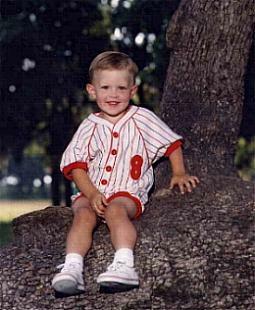 He has always had a calm, sweet, loving personality. I have to laugh as I remember the "overwhelmed" feeling we had as first time parents. At that point in our lives, I would have never dreamed that we would one day be parents of such a big family. I remember Jacob’s first bath….it took both Jay and I to give it! We placed Jacob in the little baby tub in the sink and I proceeded to start bathing him. In the parenting class we took before Jacob was born they told us that it might be a good idea to pop a towel in the microwave for a few seconds so that it is warm and cozy when you wrap the baby in it after bath time. It seemed like a good idea, so we thought we’d give it a try. After all, it was such a cold day outside. As I bathed Jacob, Jay popped the towel in the microwave. We were both so smitten with this tiny little treasure the Lord had blessed us with. Jay started helping me with Jacob and before we knew it, the entire kitchen was filled with smoke! Jay forgot the towel in the microwave and it had caught on fire! Those first few weeks were so exciting, but hectic too. Jay and I both decided that babies should come with a manual! Time was flying by and it seemed like just a matter of days and Jacob was walking and into everything. He loved to play outside and especially enjoyed animals. He was fascinated by anything mechanical. It was as if you could just see his little mind churning away trying to figure everything out. Jacob seemed to catch on to anything that involved motor skills very quickly, but did not talk until he was three years old. He seemed to understand everything, but just didn’t have a desire to talk. 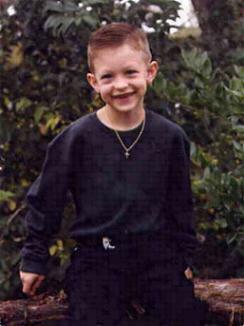 When he was 2 1/2 years old we started speech therapy with the Early Childhood Intervention program. He remained in the program until he turned three years old and then he started speech therapy through the public school. He exited the speech therapy program when he was 8 years old. Jacob is a very sensitive little boy who is always willing to help others. When Joshua was born, only one year after Jacob, he was the best big brother I have ever seen. He did not leave Joshua’s side and did whatever he could to help Joshua. Even at two years old, he was like a "little father", parenting Joshua and looking out for his best interest. When Jacob was little, I used to worry about him because he was so passive. When he would get a new toy for his birthday or Christmas, he would give it to his younger brother just because Joshua liked it. We couldn’t understand why he would do this and Joshua really took advantage of Jacob’s kindness. As we look back, we realize that Jacob’s love for others is a gift. It is what has made him the person he is today. We have always included our birth children in the process of adoption. It has been as much their decision as it has been our own. The love that we have seen them express for others is in part an inspiration for us to adopt. I am so thankful for Jacob’s willing heart and his desire to share his parents and home with other chi ldren in need. 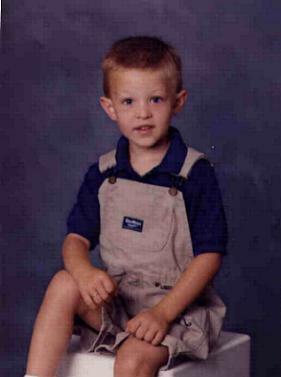 When Jacob was in pre-kindergarten, he attended a private Christian school. We had just started the process of international adoption and we were awaiting the arrival of our daughter, Sarah. When we got our first photos of Sarah, Jacob asked if it would be okay to take her picture to "Show and Tell" at school. We were very reluctant because we feared what other children might say to Jacob. We were scared that they could make fun of her birth defect or mention that her skin tone was different than his. After prayer and consideration, we chose to let Jacob take Sarah’s photo for "Show and Tell." It was a huge step for us because we had not shared with many people that we were in the adoption process. 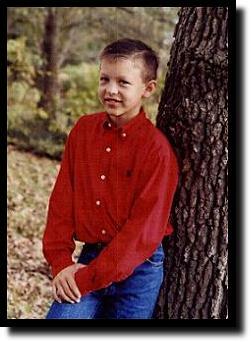 I was so nervous that day and prayed that God would protect Jacob and open the hearts of the children in his class. When I arrived at school that day, Jacob’s teacher met me at the door. She was in tears! I rushed in the room to see what was wrong and everything appeared okay. Then she proceeded to te ll me that Jacob stood up in front of class and said, "This is my baby sister, Sarah. She lives on the other side of the world, in India. When it is light here, it is dark in India. Sarah is an Indian. Doesn‘t she look just like Pocahontas?" The teacher told me that she was so touched by Jacob’s love for his new sister. It was at that moment that I realized that children do not see color, it is taught. As Jacob continues to grow, he is still a vital part of our decisions in adoption. He has a heart for orphaned children. He is a great big brother to his siblings. He has always been willing to give all that he has to help another. When Jacob was in Kindergarten, he reall y struggled with learning his numbers and letters. He began to miss recess almost everyday because he could not finish his work in time. We spent long hours helping him in the evenings. Finally in the summer before the first grade, he was diagnosed with dyslexia. Many things were happening in our lives at the time and we felt very overwhelmed yet relieved to hear of this. In July of that year, we started home schooling. We started in July so that if it was too difficult for me, we still had time to put them in school before their private school started. During the next couple of months, I saw amazing changes in Jacob. Slowly, he learned how to read and spell. After about six months, he seemed to hit a plateau. I started seeing his two younger brothers start catching up with him. I struggled to keep him ahead. Then one day I came to the conclusion that maybe I should school the three older boys together. We started doing this and it has worked well ever since. Jacob makes good grades in school, but still struggles with staying focused and working quickly. One of his favorite things to do is build with legos. He can make anything! Jacob is very creative. Once he even made a three dimensional elephant with a princess riding it for Sarah. There is no limit to what he is capable of building. Like many others with dyslexia, God has given him different gifts. Jacob is also an excellent artist. Last October, he won first place in an art contest. He draws with more of an abstract thinking than most children his age, but it is beautiful. Jacob has played the cello for about 18 months now. It has been a difficult for him, but he has the desire to continue. His favorite songs to play are Christmas songs and songs from church. Jacob started playing roller hockey when he was five years old. He did well when he was in the Mighty Mites, but he was never a player that stood out on the team . One of the referees used to tell me that Jacob had so much potential. When Jacob hit the Junior’s league, we began to see what the coach was talking about. Despite being the youngest and smallest, he consistently scores one or more goals at each game. He can play any position and do well. He even plays great in the position of goalie. Like all the guys in our family, Jacob loves to go fishing. He enjoys spending time at the coast and exploring the creeks behind our home. He continues to have a great love for the outdoors and all the beauty of God’s creation. We are so proud of Jacob for all the hurdles he has crossed. Life would be so different for us, if it were not for Jacob. Jacob’s love for others is a blessing to all who know him. Jacob played roller hockey and ice hockey from the time he was six years old until he was a freshman in high school. He received the MVP award numerous times. 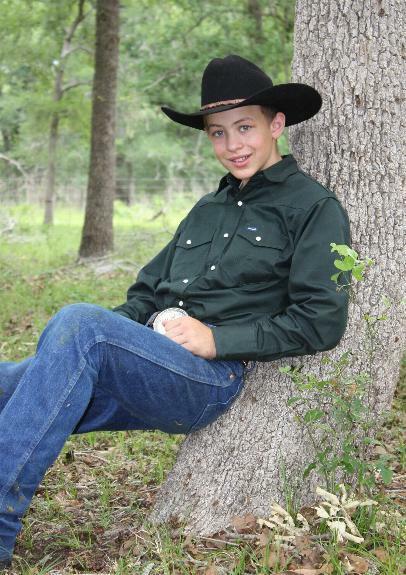 After his freshman year, he stopped playing hockey to focus more of his attention on showing cattle. Jacob made the Lil” Wranglers, a country and western dance team patterned after the Aggie Wranglers. Jacob competed and performed with them during his freshman and sophomore years of high school. The Lil’ Wranglers had the privilege of performing as the half time entertainment for the San Antonio Spurs and the Aggie Men’s Basketball games. 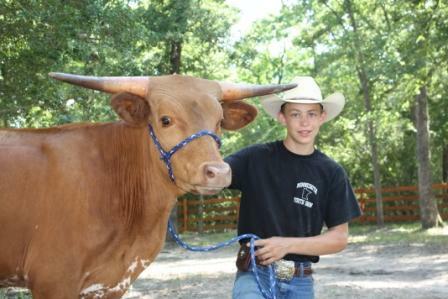 Jacob has shown Texas Longhorn Cattle through the Texas Longhorn Breeders of Tomorrow during his high school years. He was a TLBT Hall of Fame recipient in 2007-2008. Again in 2008-2009, he was the recipient of the Hall of Fame award for his accomplishments in the show ring. In 2008, Jacob placed 2nd at the Autobahn Super Stakes Speech Contest. In 2009, he was elected Vice President of the Texas Longhorn Breeders of Tomorrow and is currently serving in that national position. I have never seen someone more interested in Texas Longhorn Cattle than Jacob is. He loves spending time in the barn, grooming his calves and getting them ready for the next show. 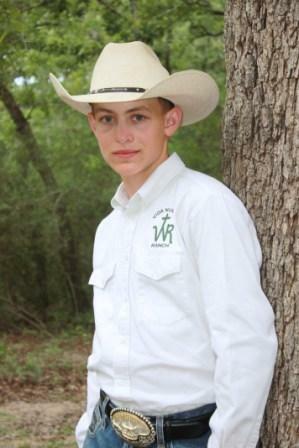 In 2009, at the age of 16, Jacob took courses at Bovine Elite and received a certificate in Cattle Palpation and also in Cattle Artificial Insemination. He continues to use this education to palpate an d AI many cattle each year. We are very proud of Jacob’s accomplishments and look forward to seeing what the Lord has planned for his future. In 2010, Jacob was elected President of the TLBT. It was a great honor for him to represent the TLBT at a national level. 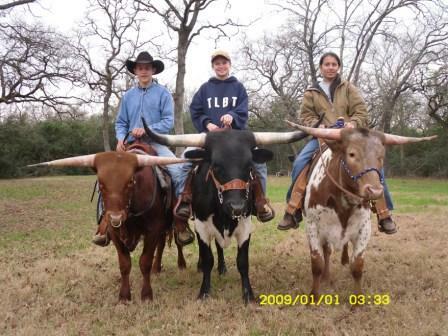 That year, he traveled all over the United States showing Texas Longhorns and attending sales and ranch tours. In May of 2011, Jacob graduated from high school and started Blinn College. 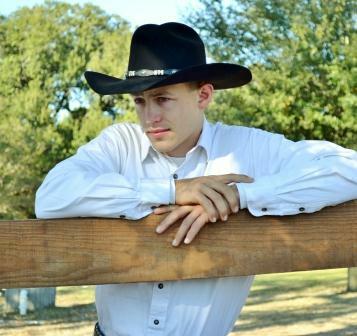 He is seeking to complete his Associates Degree and then transfer to Texas A&M University to earn his Bachelors in Animal Science, specializing in Bovine Reproduction and Genetics. He is considering going to vet school and wants to focus on large animals.